The 7mm Remington Magnum was released to the public in 1962, and is a phenomenal hunting round. Becoming one of the most popular long range hunting rounds immediately upon its debut, the 7mm Rem Mag is suitable for jsut about any North American game. When you need something for a great long range, hunting or match shooting, the 7mm Rem Mag is what you need. Federal has been around since 1922, creating some of the best ammunition in the United States. 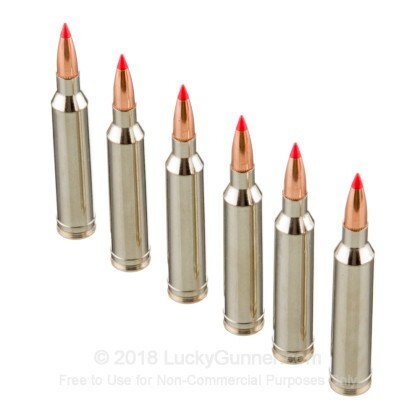 Not only do they make great ammunition, but much of their ammo comes at a great price as well. 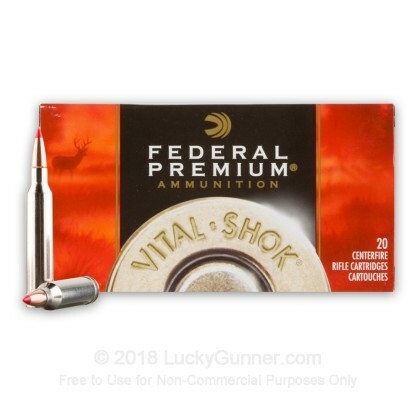 These Federal Vital-Shok rounds are designed to be perfect deer killers. 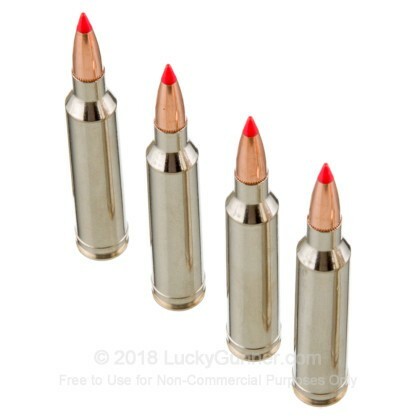 Each round comes equipped with 150 grain, Nosler ballistic tip bullet that delivers rapid controlled expansion and excellent weight retention. 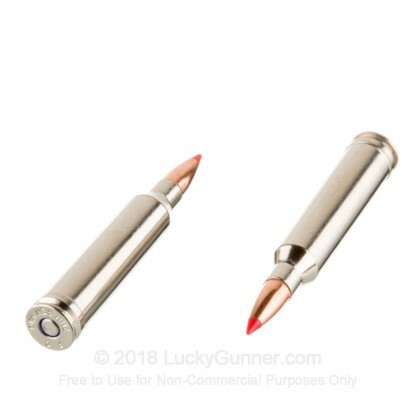 Each projectile is loaded into a premium nickel-plated brass casing that is boxer primed and reloadable. Pick up a box or two today and get out in the field soon! 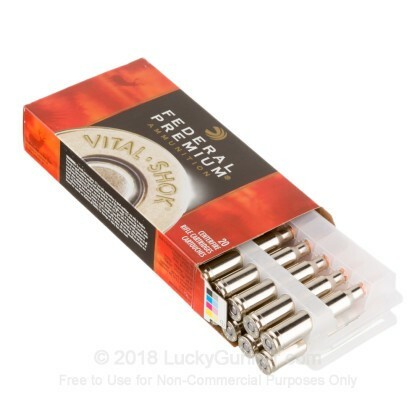 We don't have any reviews yet for this particular 7mm Remington Magnum ammo from Federal. 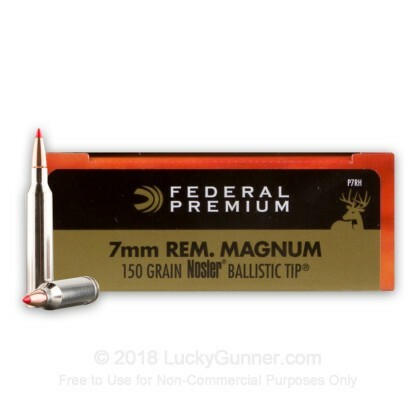 If you'd like to be the first to review this particular 7mm Remington Magnum ammo from Federal, fill out the form below.